The Ricardos are trying to agree on a name for the baby: Gregory or Joanne, Gregory or Cynthia, John or Mary? Lucy: "I want the names to be unique and euphonious." Ricky: "Okay. Unique if it's a boy and Euphonious if it's a girl." The following morning, Ricky offers to cook Lucy's favorite breakfast - waffles. After a series of kitchen mishaps, Lucy exclaims, "Do me a favor. Don't cook breakfast for me. I'm not strong enough." Suddenly, however, she gets the misguided idea that Ricky is interested only in "little Sharon or Pierpoint," not in her. Ethel conveys these thoughts to Ricky, who immediately showers Lucy with "inappropriate" gifts, a rattle, a baby's bonnet, etc. To patch things up Ricky invites his wife to the Tropicana for dining and dancing. This manages to do the trick, except now Lucy fears Ricky doesn't love the baby. "You haven't even mentioned little Robert or Madelyn," Lucy sobs. 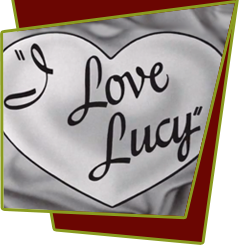 Special Notes: Robert and Madelyn referred to Robert G. Carroll, Jr., and Madelyn Pugh, the two talented "Lucy" writers. "Gregory" and "Joanne," two names Lucy chooses in the episode, are the names of producer Jess Oppenheimer's children.